Francis, What a predicament Grace has found herself in! I'm adding this book to my reading list. Thanks, Jena! My great grandpa and grandma were pioneers who lived in a dugout in Western Oklahoma until their first house was built. One summer our family went looking for the dugout site, not expecting to find it. But we did. We could see two of the walls. We even found the old wagon tracks leading up to the dugout. 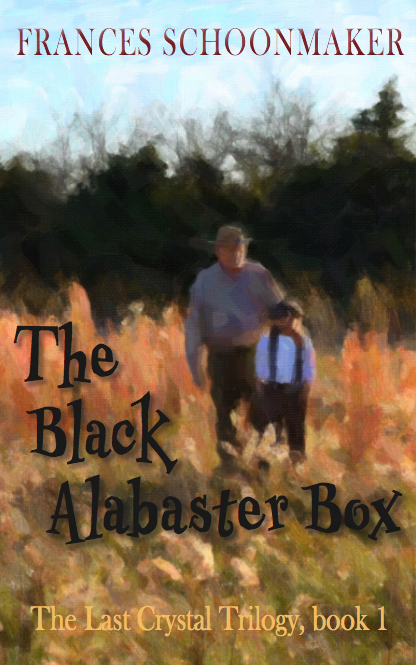 Frances Schoonmaker was reared on a farm in western Oklahoma, not far from where The Black Alabaster Box takes place. She taught elementary school for a dozen years before becoming director of the graduate program in elementary and middle school education at Teachers College, Columbia University, a program that drew heavily on literature and story telling. 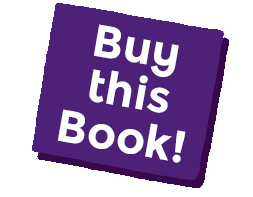 Early in her career at Teachers College, she was selected by the Joseph P. Kennedy, Jr. Foundation to write Growing Up Teaching: Values And Decision Making, a textbook for middle school children. 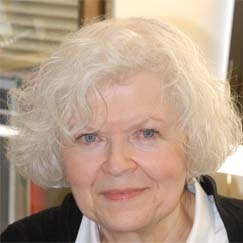 Before retirement, she mentored doctoral students interested in children’s spirituality through a seminar on children’s literature and spirituality, funded by a grant from the Spencer Foundation. Schoonmaker compiled and edited five books in the Sterling Press Poetry for Young People series.